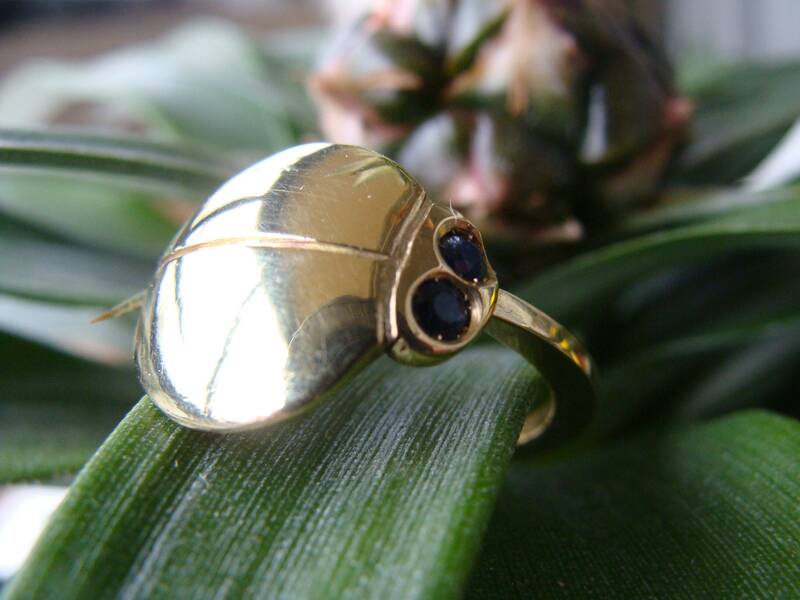 Brass ring, "Ladybug spring", simple and minimalist style. 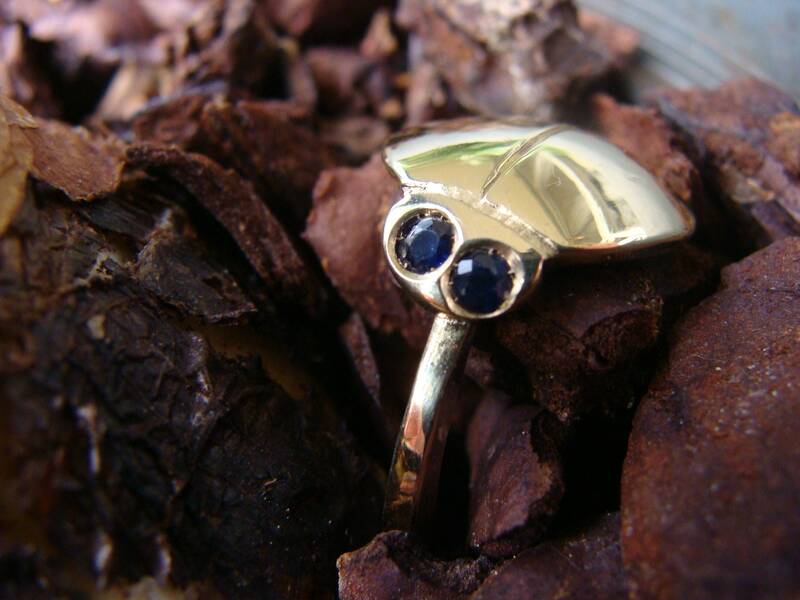 The eyes of the ladybug are set with genuine round sapphires, navy blue. 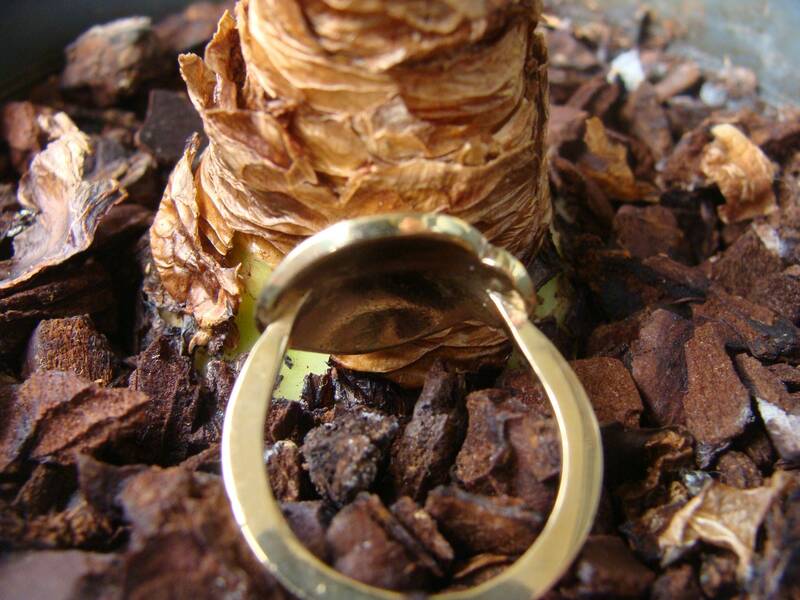 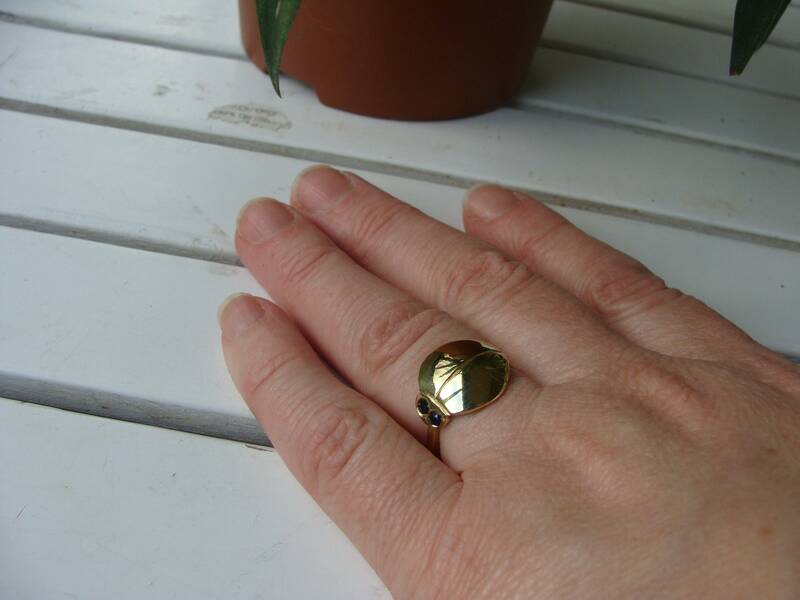 The ring is in size 54, but possibility to change the size on request. 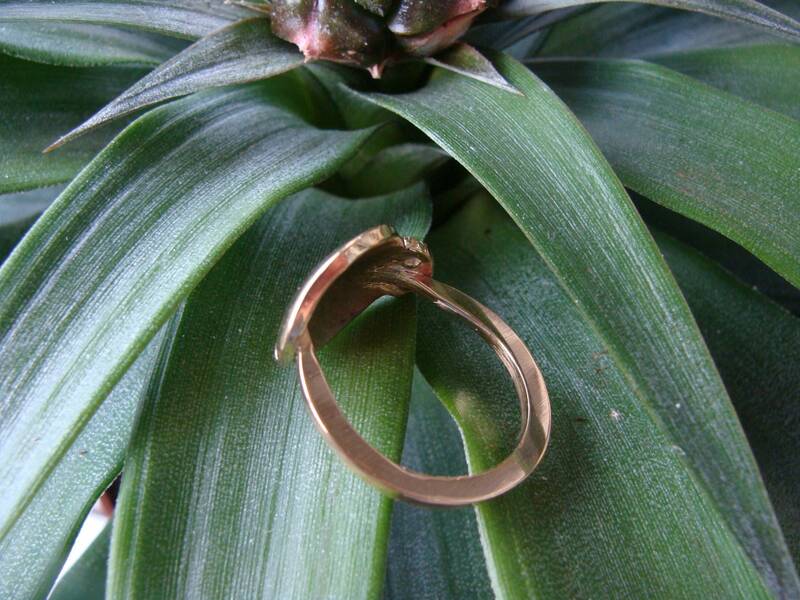 Original ring, easy to wear, very comfortable and ideal for sunny days! 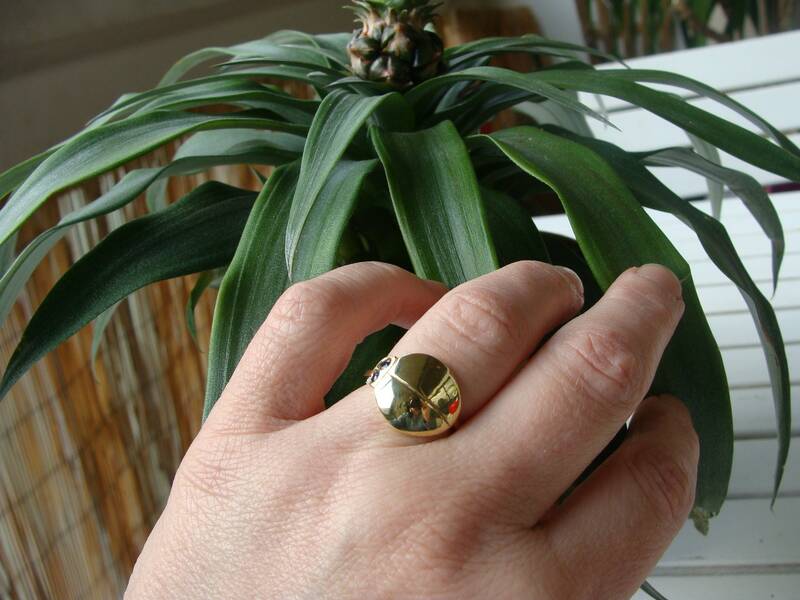 Jewel made in my workshop Lyon, in the rules of the art.